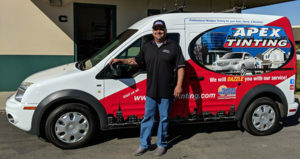 We are proud to be the best car window tinting and windshield repair service in Santa Ynez Valley. We have thousands of satisfied customers who sooner or later return to us for further assistance. Our customer service and satisfaction is such that there is not a single customer who will have any unresolved issues after visiting us. Is your car getting too hot inside? Our specialized and highly skilled Technicians can lower the temperature inside your car by fitting window tints that are known to keep the heat from getting inside your car. Is there a crack in your car window or windshield? Don’t worry, Apex is number one for quick, easy repairs as well! Don’t let a chip or crack keep you from getting the window tinting you’ve been wanting. At Apex we will get your broken windshield repaired or replaced in minimum time. Our highly trained and experienced technicians will visit your car onsite instead of you needing to bring your car to a garage. We are just a phone call away. We are at your service! You read it right. Only 15 minutes! We are the only company that will fix a chip within minimum time. All you need is 15 minutes for us and in return have your car glass look like it was never involved in any damage or accident. Apex Auto glass gives a complete Windshield assessment for free! This is because we do not want to charge you for something that is not necessary. We will determine the best options for your circumstance. With our window tinting, window repair and window replacement services, you can be assured of complete customer satisfaction. 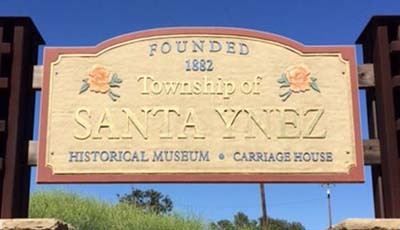 Give us a call for any type of window tinting, car window repair or windshield replacement service in Santa Ynez Valley 93460.